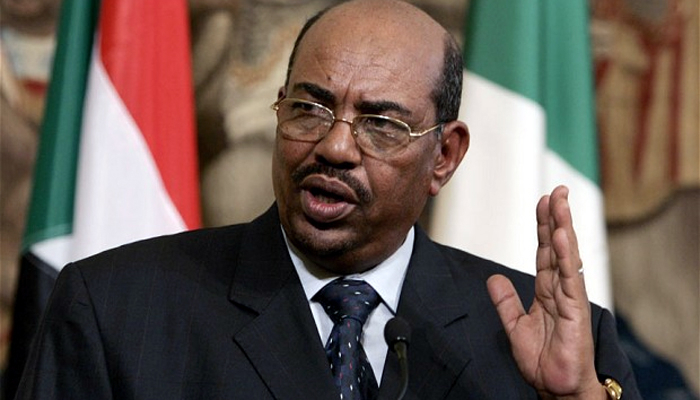 Sudanese President Omar al-Bashir resigned from his post, Reuters reported, referring to government sources. From mid-December last year, the country was swept by popular protests: protesters called on the authorities to lower the prices of bread and other food products. Currently, consultations are underway on the formation of a transitional council. Gradually, political demands emerged concerning the change of the regime of the virtually sole power of Omar al-Bashir, who had been in office for 30 years. The center of protests became the complex of buildings of the Ministry of Defense in the capital of the country, located not far from the presidential palace. It was there that the protesters set up their camp. According to the opposition and human rights activists, in a few months about 60 people were killed, hundreds were injured, several thousand were detained. The acute political crisis began in Sudan eight years ago, after the separation of South Sudan and the introduction of US economic sanctions against official Khartoum. 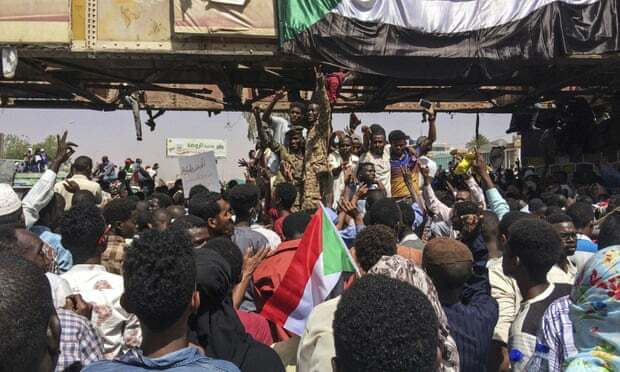 The Sudanese army will make an “important statement soon,” state television and radio announced on Thursday morning, as thousands of protesters camped outside the military headquarters in Khartoum demanding the resignation of President Omar al-Bashir. “The Sudanese army will issue an important statement soon. Wait for it,” a television anchor said. State media offered no further details, as the rally outside the army complex entered its sixth day. A Reuters reporter said military vehicles were deployed on key roads in the capital. As people waited for further word, state television and radio played patriotic music, reminding older Sudanese of how military takeovers unfolded during previous episodes of civil unrest. “People are coming in droves,” said one onlooker. 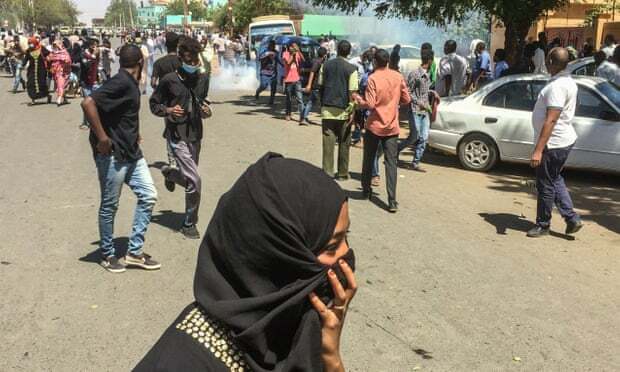 The news of an announcement from the army came as analysts warned Sudan could descend into anarchy if its political crisis is not resolved peacefully and rival factions within the security establishment fight for power. The country, one of Africa’s biggest and most strategically important, has been paralysed by months of protests against the 30-year rule of its autocratic president, Omar al-Bashir. Since Saturday, thousands of people have camped on a crossroads in the centre of the capital, Khartoum, calling for Bashir to step down. Attempts by security forces to break up the demonstration have killed at least 22 – including five soldiers, who organisers said were defending the protesters – and injured more than 150. The area of the main protest in Khartoum has expanded slightly since the weekend, witnesses said. Makeshift medical facilities and water distribution points have been set up while protesters have organised cleaning patrols to sweep away rubbish. There have also been reports of protests elsewhere in the country of 40 million people, including Port Sudan in the north-east. “These kinds of anti-government demonstrations are not new, but this time a much wider swath of society is involved … including professional classes who for decades were either driven overseas or co-opted [by the regime],” said Zach Vertin, an analyst at the Brookings Institution thinktank and author of a new book on Sudan and South Sudan. Another new factor is the apparent split within the security forces. Some elements within the military appear to be siding with demonstrators against armed militia loyal to Bashir and the feared intelligence services. “This is unprecedented. We are in a new landscape now,” said Vertin. On Tuesday, demonstrators were seen hoisting soldiers on their shoulders while others joyfully saluted soldiers in armoured vehicles. There have been reports of senior police commanders and militia leaders pledging not to harm the protesters, though it is unclear if these have been officially endorsed. Protest leaders have called on the army to help resolve the crisis, possibly by taking temporary control of the government. “Sudanese always believe that transition should come through the military. All are mindful of what instability could cause. Any chaos could have a very high cost,” said Saif al Din Abdelrahman, a Sudanese economist and expert, in Nairobi, Kenya. Analysts point to four possible future scenarios. One is a brutal crackdown by security forces loyal to the president. “There could be very serious violence. Massacres could ensue. In 2013 security forces were mowing down people ruthlessly and 200 died,” said Henry. But Bashir might equally make concessions in the hope of retaining some power, perhaps accepting a more ceremonial role and pledging not to stand in elections in 2020. This is unlikely to satisfy the protesters, however, and would need backing from within both the military and the ruling National Congress party. The US, Britain and Norway have all called on the Sudanese authorities to deliver a credible plan for a peaceful transition of power. But a problem here is that Bashir faces charges of genocide and war crimes at the International criminal court (ICC) and thus the possibility of arrest, trial and a lengthy prison sentence if he travels overseas. “It would have been much easier for a transition if there was no ICC. The indictment leaves few options [for Bashir],” Abdelrahman said. The nightmare scenario is a collapse in government authority and widespread disorder. Pro-democracy activists detained in recent months have been accused by state security agents of making such chaos more likely through their calls for reform, campaigners say. But analysts say it is more likely that a collapse of law and order would be prompted by the rivalries between different factions within the security establishment, not the actions of the protesters. Militias, soldiers, police and others loyal to individual commanders and political actors might fight for power on the streets of major cities, while remote areas slip beyond central government’s authority. The consequences of such chaos for the region as well as for Europe and the Middle East would be grave. Protest leaders say they are very aware of the examples of Libya, Syria and Somalia but are committed to bringing change. “The Sudanese people have been resilient in trying again and again and this one may be the final straw for Bashir’s regime. We have reached a tipping point,” said Andy Atta-Asamoah, an analyst with the Institute for Security Studies in Pretoria, South Africa.